Health care has been a top priority of Consumers Union since we started back in 1936. In the pages of Consumer Reports and the advocacy work we do for consumers, we've long argued for better health care that's more affordable and reliable. While working for better health care is not new for our organization, today we are doing something that we've never done before. For the first time ever, Consumers Union is weighing in with a TV ad that calls on lawmakers to find a solution for health reform. You may wonder why we are injecting ourselves so publicly into a heated debate that has generated an enormous amount of concern and confusion. We believe that so much attention has been focused on the politics of health care that we're losing sight of the core problems. Health costs are skyrocketing, which affects all of us, and if you get seriously sick, having insurance is no guarantee that you'll get the care you need. We are in the business of providing information and advice that helps consumers. We don't make campaign contributions. We don't endorse candidates. And we don't care who gets the credit for fixing the problems with health care—we just need them fixed. Doing nothing about health care is not a solution. Too many Americans are just one pink slip away—or one major illness away—from losing their health coverage. That's why policymakers need to find a solution this year. Consumer Reports has decided to weigh in on the health care debate in favor of the Democratic health care proposals, or what CR euphemistically calls "health care reform." Having decided to take sides, I think it is fair to hold CR to the standards it expects of the manufacturers and service providers reviewed monthly in its flagship magazine, and on its website. Is the CR position, as laid out on its health care reform website, consistent with its mission statement? Does it provide information which empowers consumers can make a fully informed decision? And does CR present the negative as well as positive aspects of the pending health care proposals, so that consumers can distinguish hype from fact? Unfortunately, the answer to each of these questions is that CR has not lived up to its own standards. The presentation on the CR health reform website is completely one-sided and presents only the best case scenario as to health care reform proposals on the table. As discussed below, CR's presentation is partisan, and potentially misleading, in numerous material respects. CR's presentation is what one would expect from an advocacy group with a political axe to grind, not the heretofore non-partisan name in consumer protection. Le·gal In·sur·rec·tion has even more detailed analysis about the foolish nature of the decision by Consumer Reports to come out in support of ObamaCare. 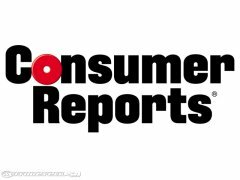 Read it as the requiem for the neutrality of Consumer Reports.